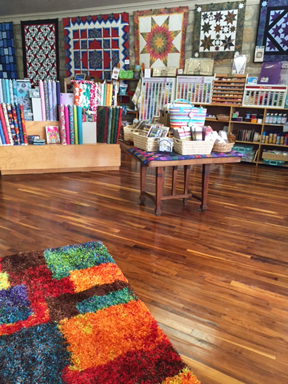 The Quiltzette: New Fabric; Yarn Shop Now Open; Feeling Taxed? This pretty collection arrived on Friday. 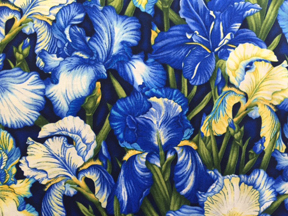 Come in to have a closer look at the large print focus fabric. 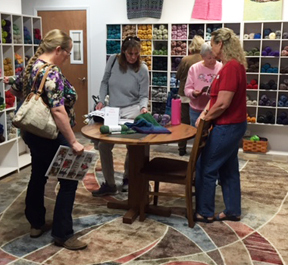 Our Grand Opening on Saturday was a huge success. Thanks to everyone who came out to support our new venture. Congratulations to our three door prize winners . . . Kendra B., Leah P., and Reena F. Come by to claim your prizes, ladies! Congratulations to Lisa Bunker who won Block Lotto for March. If you want to play in April, here is a focus piece that's part of the five-fabric collection we've chosen. Details . . .
Use the five (5) fat eights provided to make two (2) 12-inch blocks (12 1/2” unfinished). Do not add any additional fabrics. Bring your blocks (labeled with your name) to the shop on or before the last day of the month. For each block you bring in your name will be entered into the drawing. Winner(s) will be chosen at random on the first day of the following month when the new Block Lotto begins. 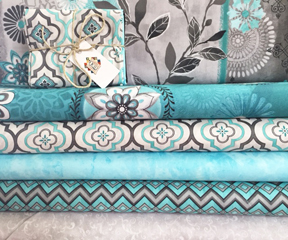 Winner(s) is/are eligible for 10% off fabric to finish their quilt (sashing, borders, binding, backing) if they desire. Have fun! Triple sole walking foot # 50 with seam guide is a wiz at working with challenging fabrics. 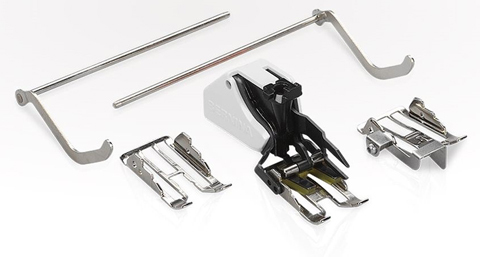 Especially well-suited to machine quilting and sewing “sticky” materials, this foot also helps you match stripes and plaids by preventing the fabrics that are being stitched together from shifting. The regular price on Foot #50 is $192. During the month of April it's only $144. That's 25% off. 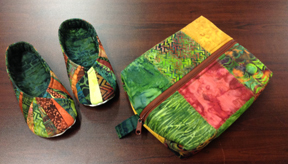 Add this to your sewing room today! Don't let tax time get your down . 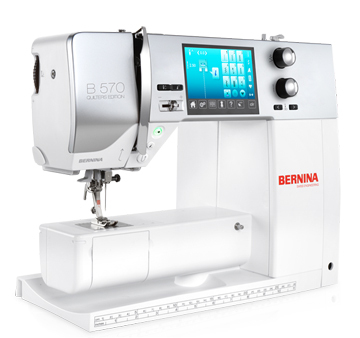 . . treat yourself to a new BERNINA and save 7% (up to $750). This offer is good from April 6 through April 11. Take advantage of 0% financing for 48 months on purchases over $3,000. We did a fairly significant rearrange at the shop last week. 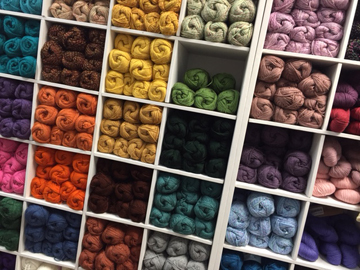 It was necessary to make room for the new Yarn Shop. The response has been interesting. Even our most regular customers are noticing merchandise they hadn't seen before, even though it's been here all along, just in a different place. Another thing we realized through this process was that - even though we regularly whine "we need a bigger store" - we actually found the perfect place for each and every display. What's the point? To encourage you to take a look at your own sewing space - whether that's an entire room or a tiny corner - and consider doing a rearrange. If you do, we predict you'll find that you have renewed enthusiasm and inspiration. You'll also likely likely uncover all kinds of fabric and projects you've forgotten about. And one more thing . . . notice the new entry way rug in the image here. It cost less than $100 and added a fresh new "pop" to the front of the shop. 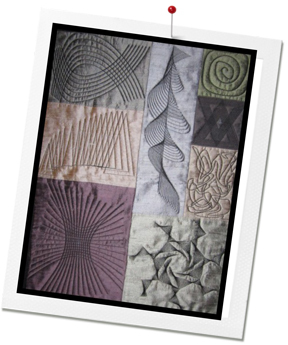 Treat yourself so something new for your sewing space - any item that will give you pleasure when you see it or use it. A colorful rug like we did, or something as simple as a new trash can or whimsical clock for the wall. Whatever pleases you. You're worth it!